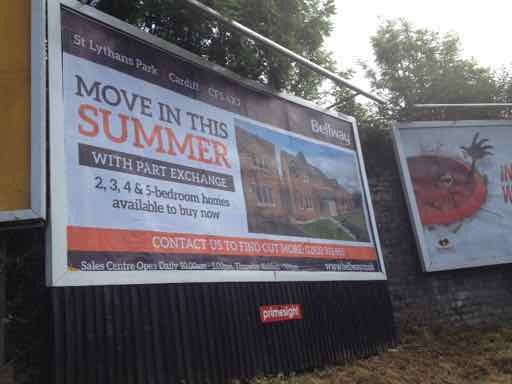 Bellway homes booked a campaign in the first quarter of 2018 and due to adverse weather conditions, the poster started to peel off and we were advised of this by the poster contractor. Now if this had been a national campaign, probably the client would not have been aware and maybe the contractor would not have contacted the agency as they knew it was a national campaign, so this would have lead to the client paying for a poster that was not on display – happens more than I care to mention, I am sure. 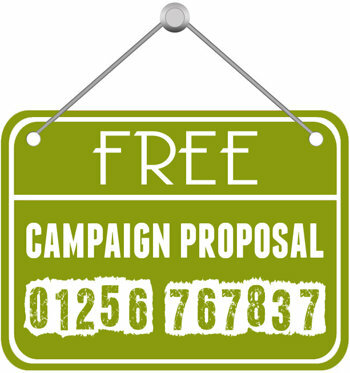 As we like to look after our clients they were owed 4 days advertising, as they already had 10 days of a 14-day booking which was on display. However, we managed to get a 14 day period for FREE due to the relationship we have with the poster contractors. Paper posters are sometimes liable to peeling off if the weather is bad and generally no compensation is offered but we are usually pretty persistent to make sure the client gets what they paid for – and in this case more than they paid for. Book poster advertising through Focal Point with the assurance that you will be looked after and with 30+ years in business it is a testament to the fact we must be doing something right.